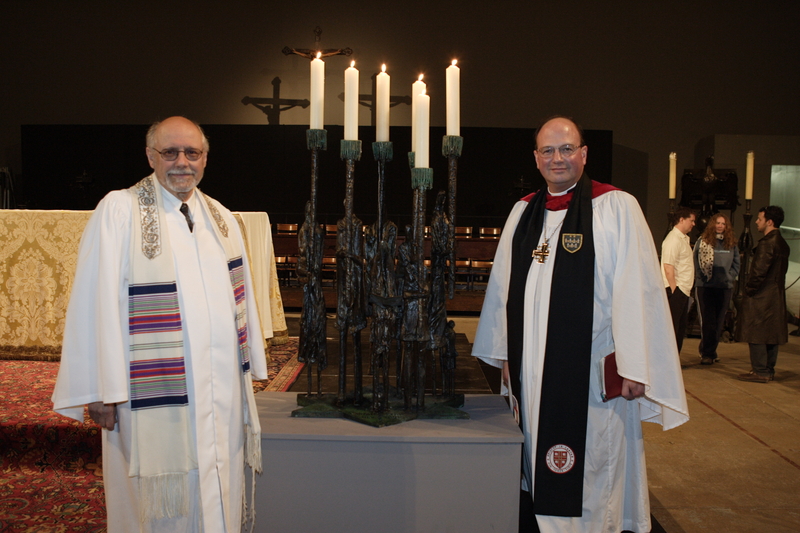 Through its historic Menorah Project, the Center for Interreligious Understanding is placing Yom Hashoah (Holocaust Remembrance) Menorahs in Christian institutions throughout the United States and around the world with the goal of highlighting the extraordinary improvements in interreligious relations in the past few decades. The Menorah dedications bring together Christians, Jews and community members to share words of remembrance and to light the six candles of the Menorah that represent the six million Jews killed during the Holocaust. 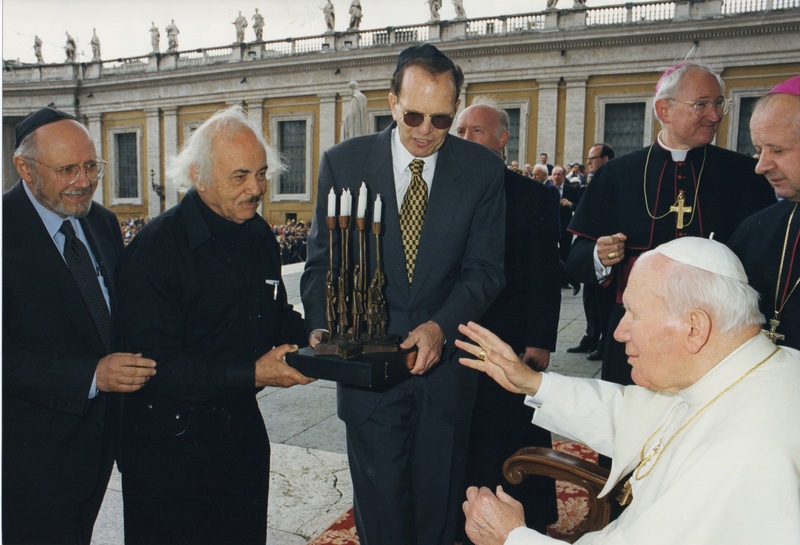 The four-foot tall menorah, created by Israeli sculptor Aharon Bezalel, is a replica of the Yom Hashoah Menorah presented to Pope John Paul II on April 13, 1999 that now stands permanently at the Vatican’s North American College. Menorahs have been placed in Miami, Baltimore, Palm Beach, Seton Hall University, Dallas, Boston, Washington, D.C. and the Cathedral Church of St. John the Divine in Manhattan.